On a drive from Southern California to Bodega Bay, our route took us over the San Rafael Bridge. 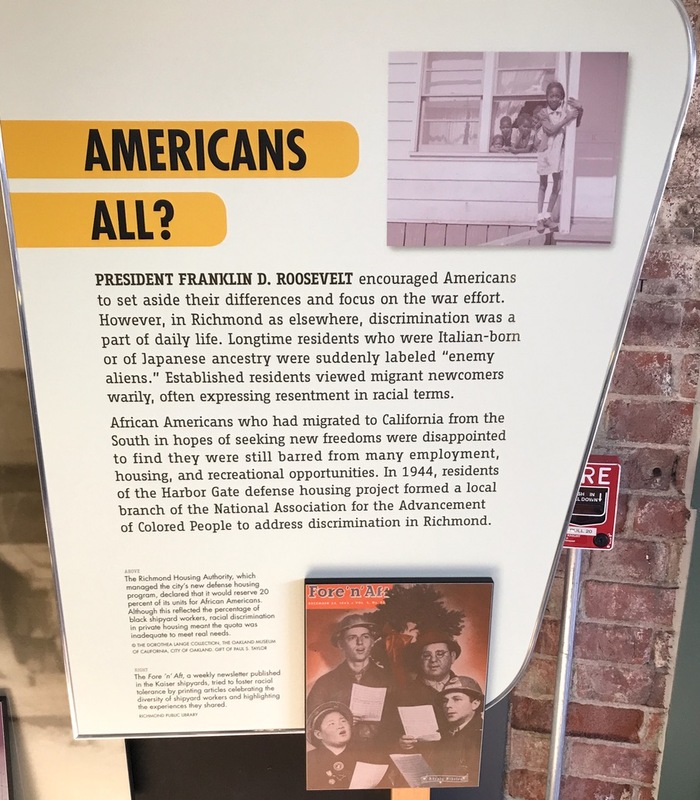 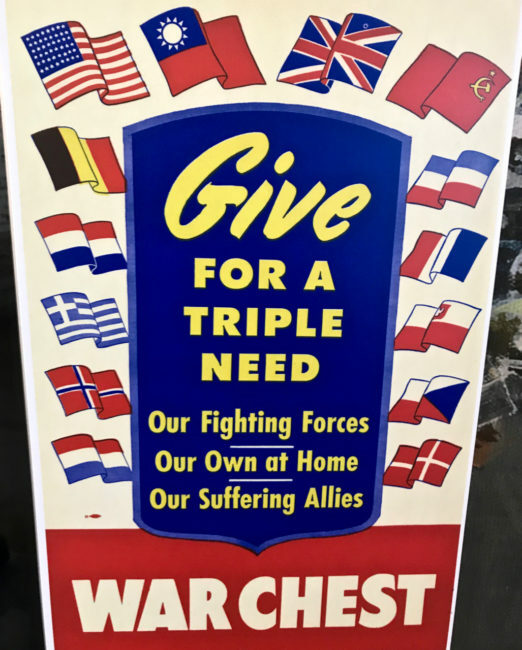 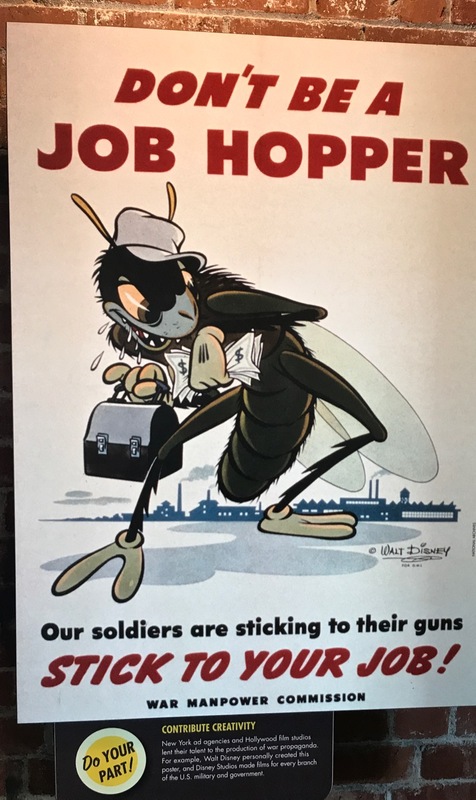 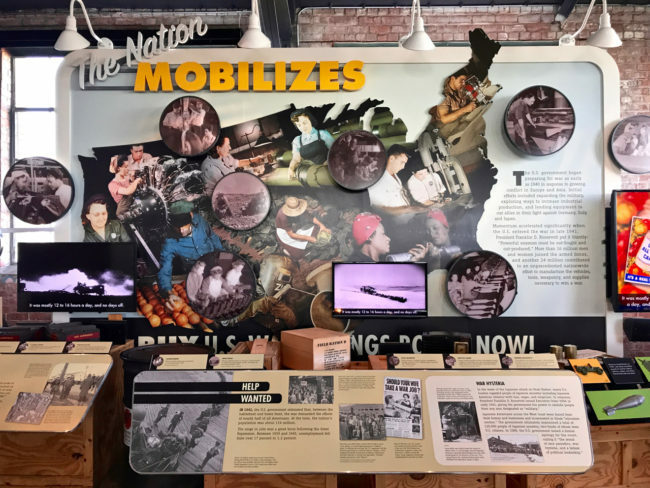 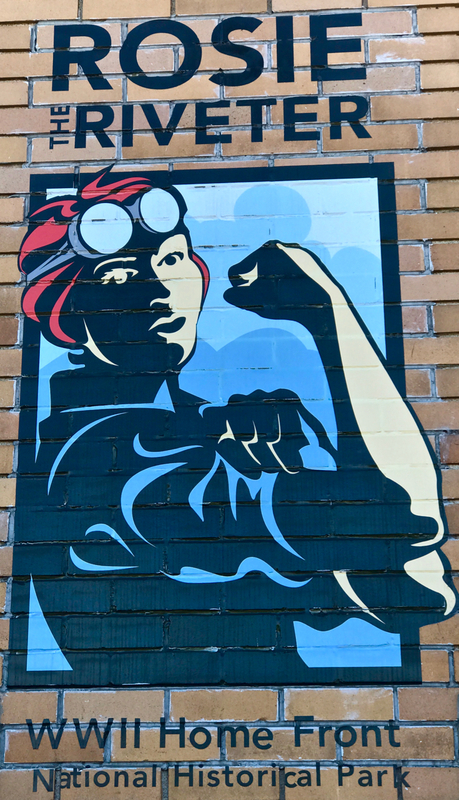 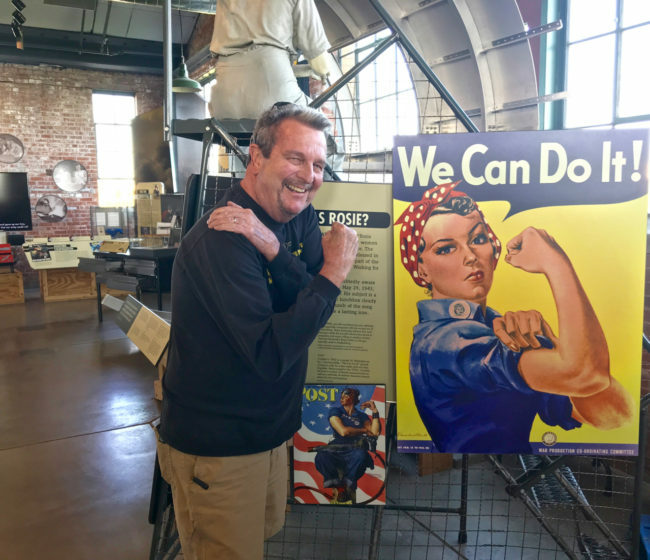 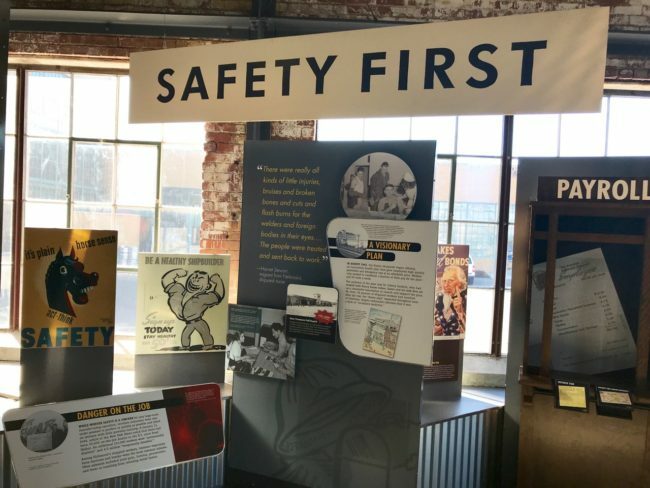 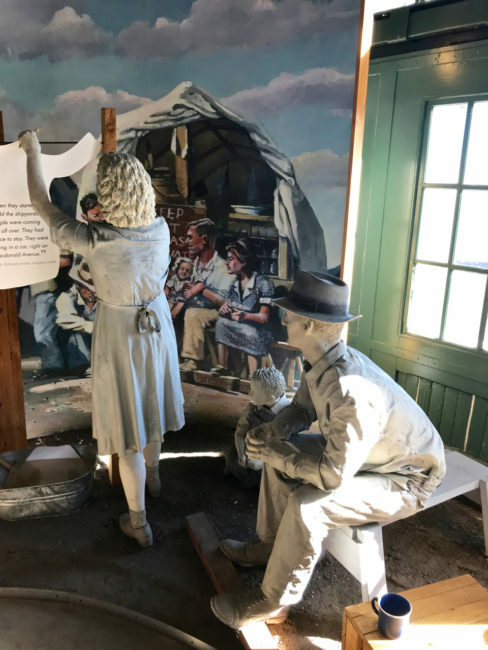 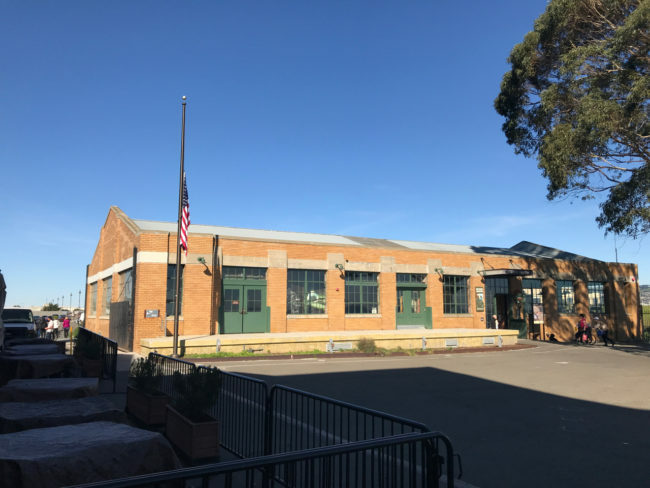 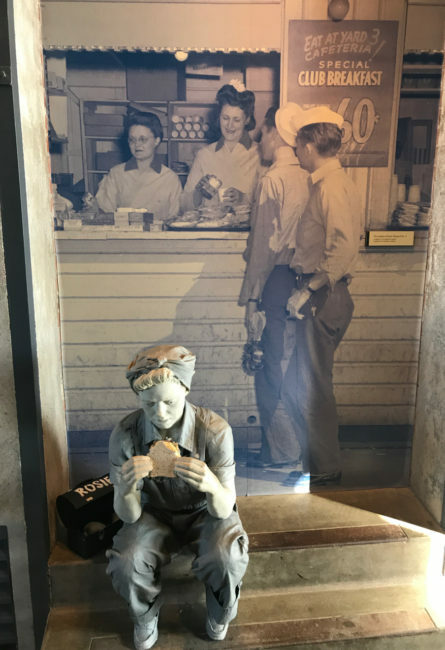 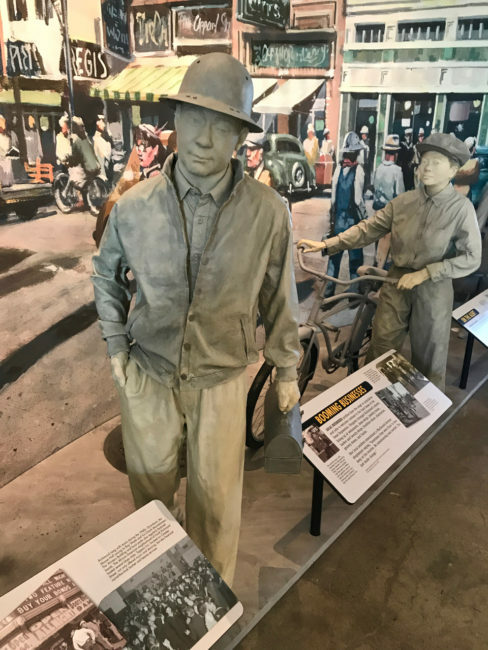 We diverted a few exits short of the bridge to check out a museum I had recently heard about from our friend Kim … the Rosie the Riveter/World War II Home Front National Historical Park in Richmond (in the East Bay region of the San Francisco Bay Area). 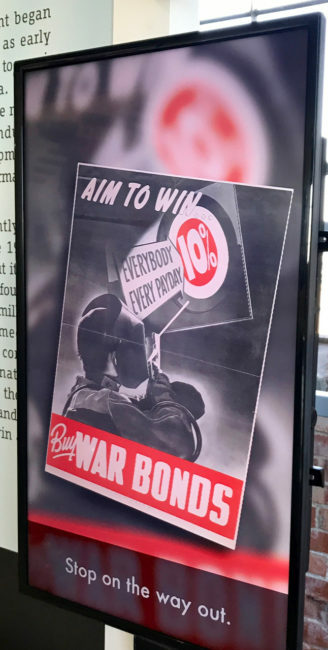 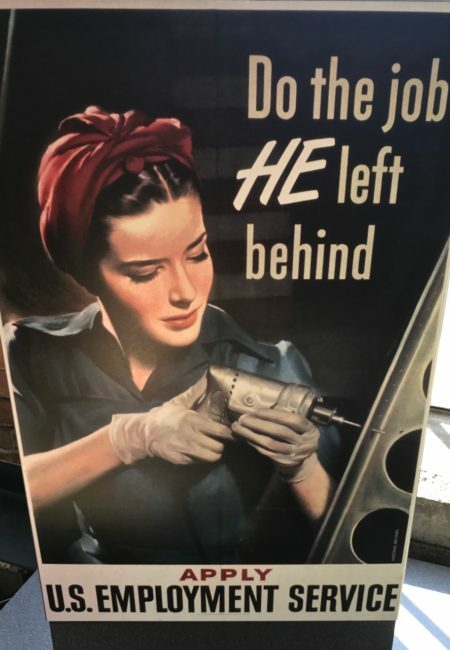 During World War II, when there became such a drastic shortage of available men to fill the workplace, companies realized they would have to finally change their hiring practices by employing women, minorities, older men and people with disabilities. 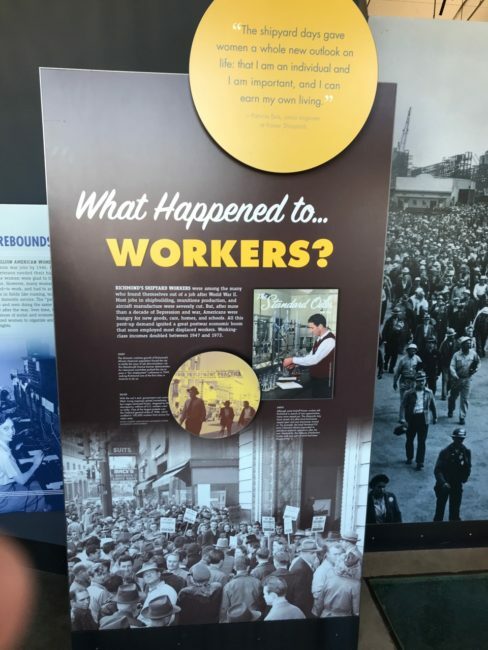 For many, this was their first employment. 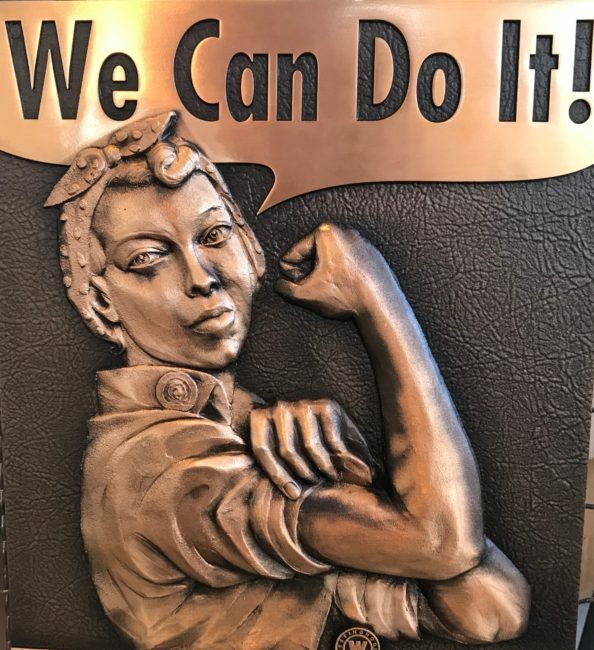 According to the Encyclopedia of American Economic History, “Rosie the Riveter” inspired a social movement that increased the number of working American women from 12 million to 18 million by 1944. 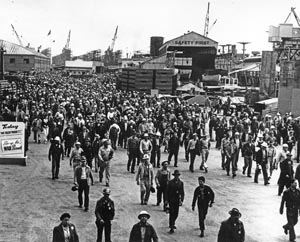 At the beginning of the war, four Richmond shipyards were built along the waterfront. The shipyards employed thousands of those previously disenfranchised workers. 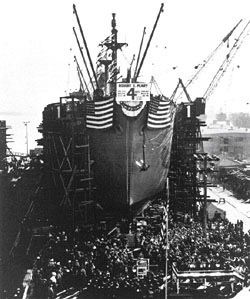 According to the National Park Service, “Kaiser’s Richmond shipyards built 747 Victory and Liberty ships for the war effort, more than any other site in the United States.” (ship photo courtesy of Richmond Museum of History). 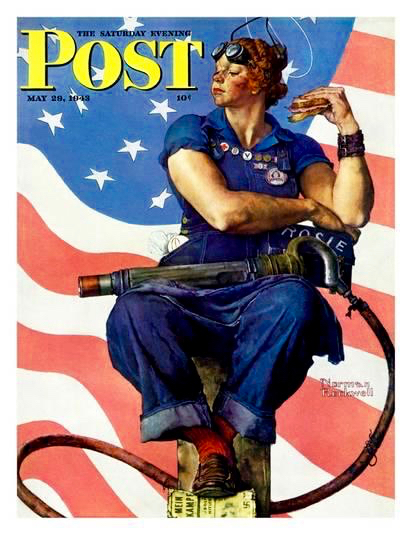 By 1943, a song about Rosie the Riveter was popular, and Norman Rockwell painted a famous version of her (it appeared on the cover of The Saturday Evening Post). 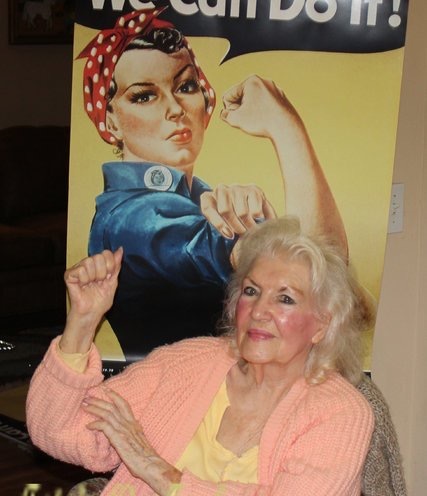 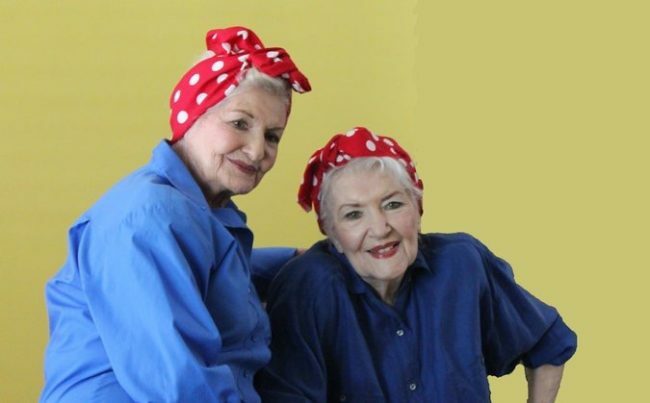 Many of these “Rosie The Riveters” took jobs as welders, electricians, carpenters and mechanics. “They were assigned to the machine shop, where their duties included drilling, patching airplane wings and, fittingly, riveting. 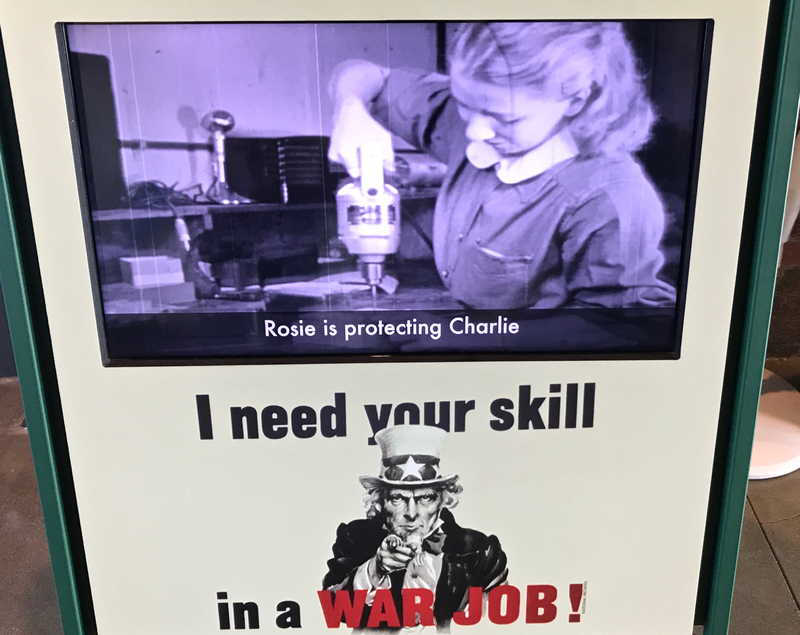 It was there that the Acme photographer captured Naomi Parker, her hair tied in a bandanna for safety, at her lathe. She clipped the photo from the newspaper and kept it for decades.” The rest, as they say, is “herstory.” Well, I guess nobody really says that. 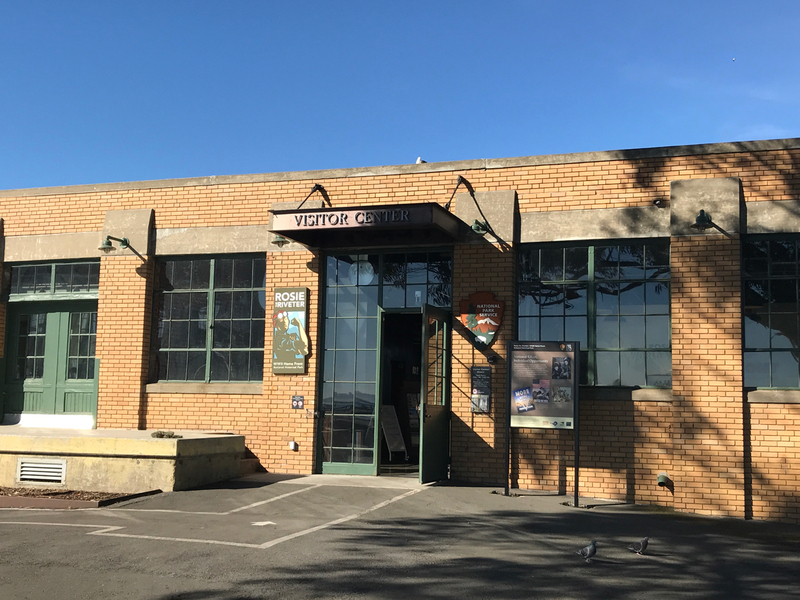 A short distance off I-580, on a picture perfect Northern California day, Tracy and I stopped to check out the museum dedicated to the workers who helped in the war effort. 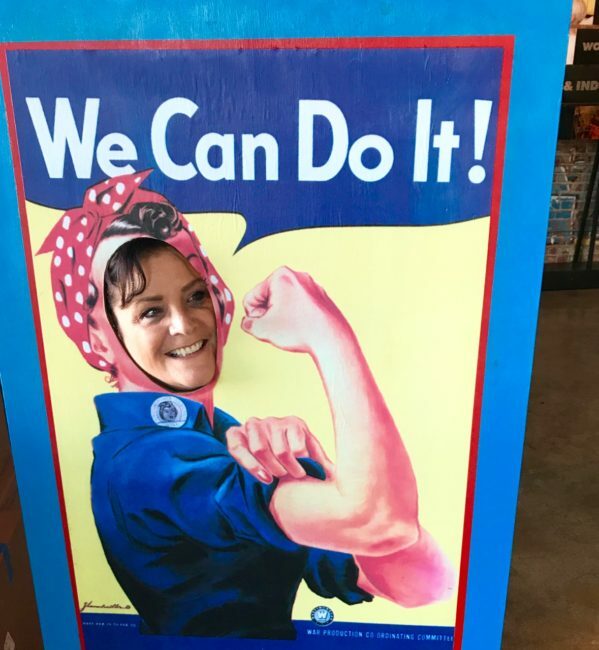 We were excited because I had just received my Senior National Park Pass that affords me lifetime entrance to United States national parks for free. 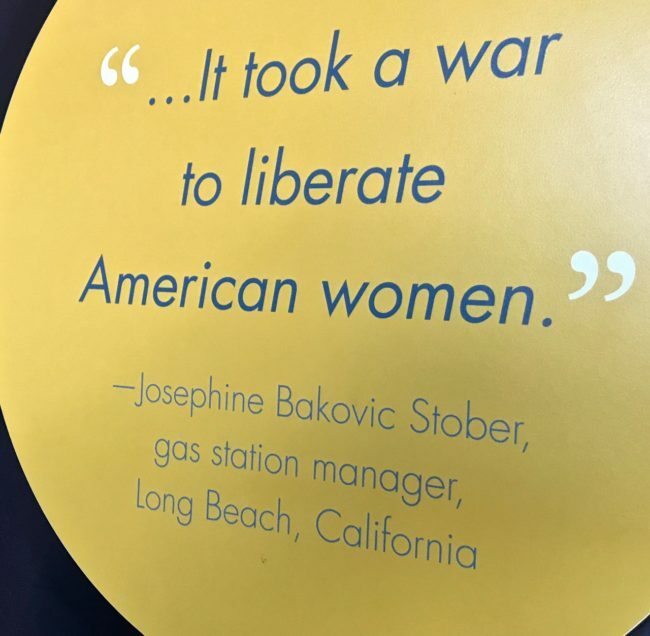 At the ticket office, I was told this museum is “free” to everyone. 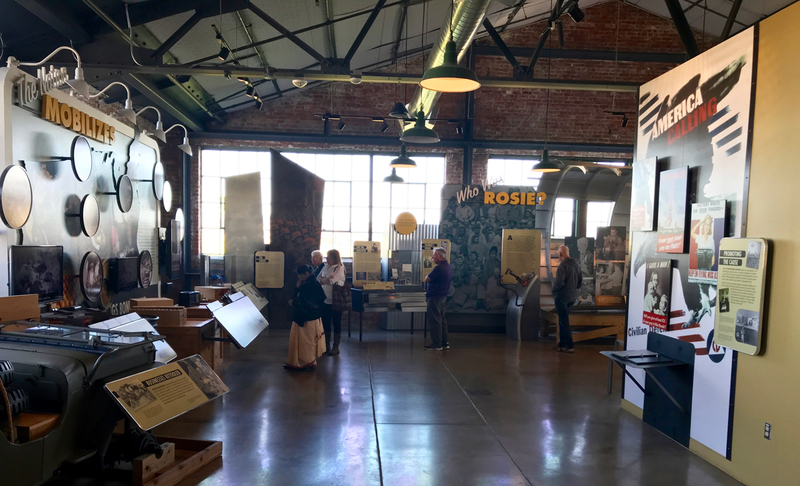 After an overview from one of the docents (they are all very nice and informative, plus on many Fridays some of the “Real Rosies” are on hand to answer your questions). 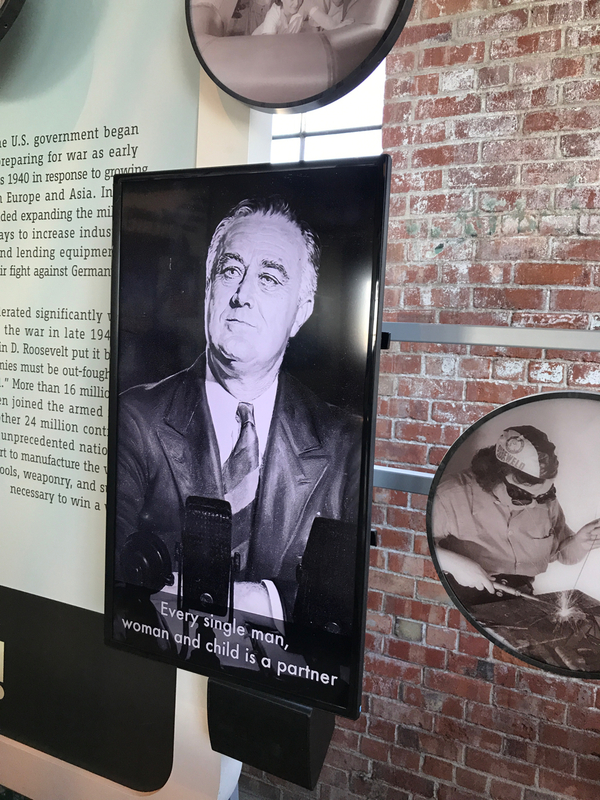 The facility also shows a short movie talking about its history, but we were a little short on time. 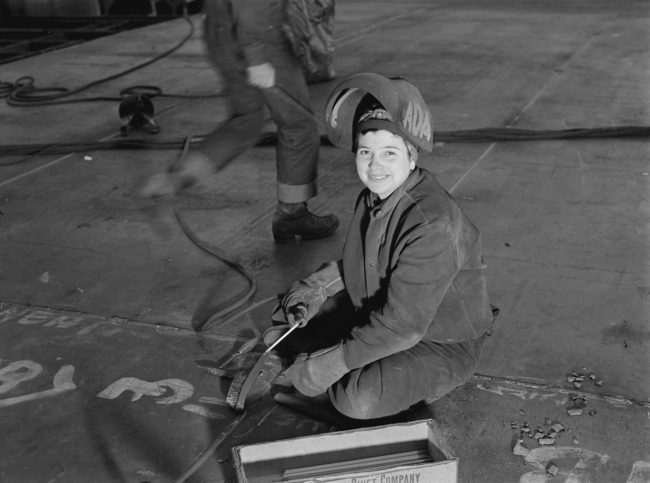 The shipyards also employed Wendy The Welder (alliteration must have been big in the ‘40s). Photo courtesy of the Library of Congress. Obviously the guy on the left didn’t get the memo on how to pose … he’s also not handy with a wrench (or any other tool for that matter). … all these people did during the war. There were lots of wartime posters, too. 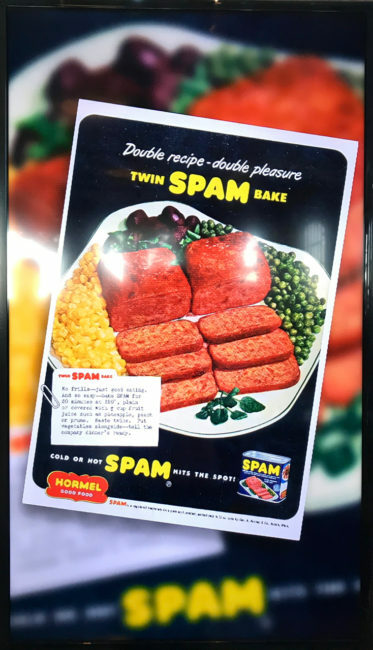 After a long day at the factory, here was a dinnertime favorite. 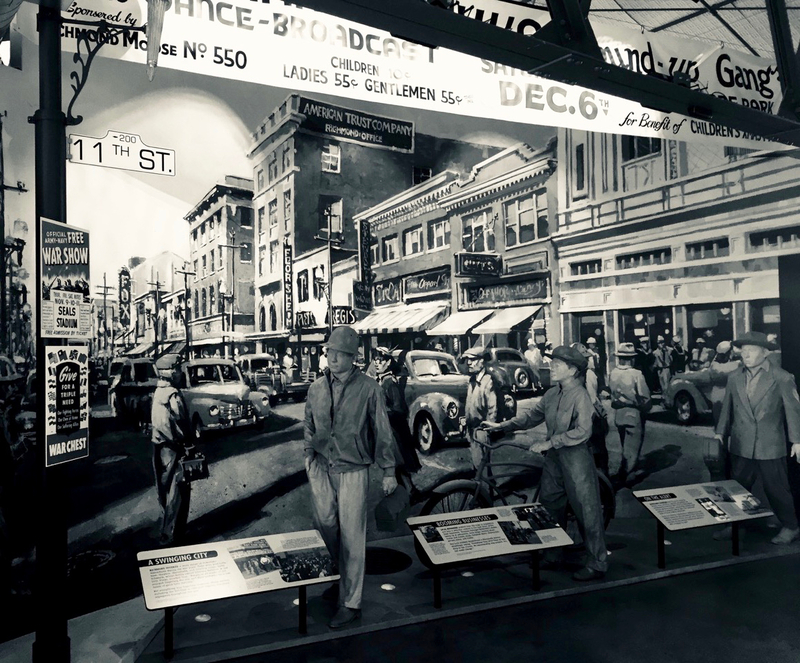 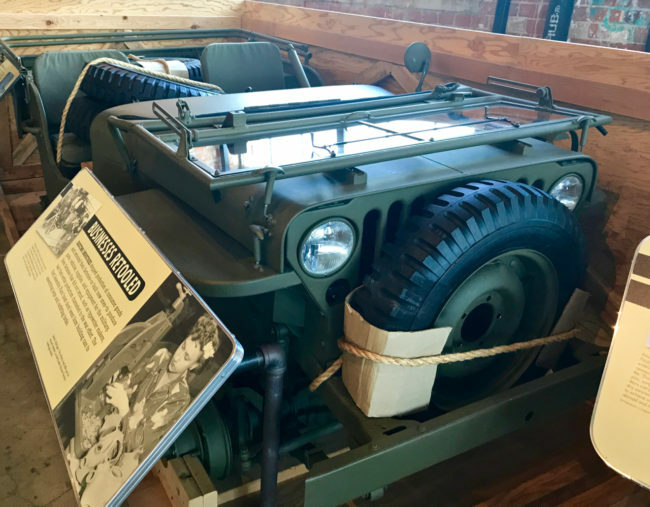 The Ford Motor Company Assembly Plant is located next door, and during World War II it produced nearly 50,000 jeeps. These “Crated Jeeps” were assembled here, test driven, and then partly disassembled so they could be packed in crates and shipped to military units around the world. 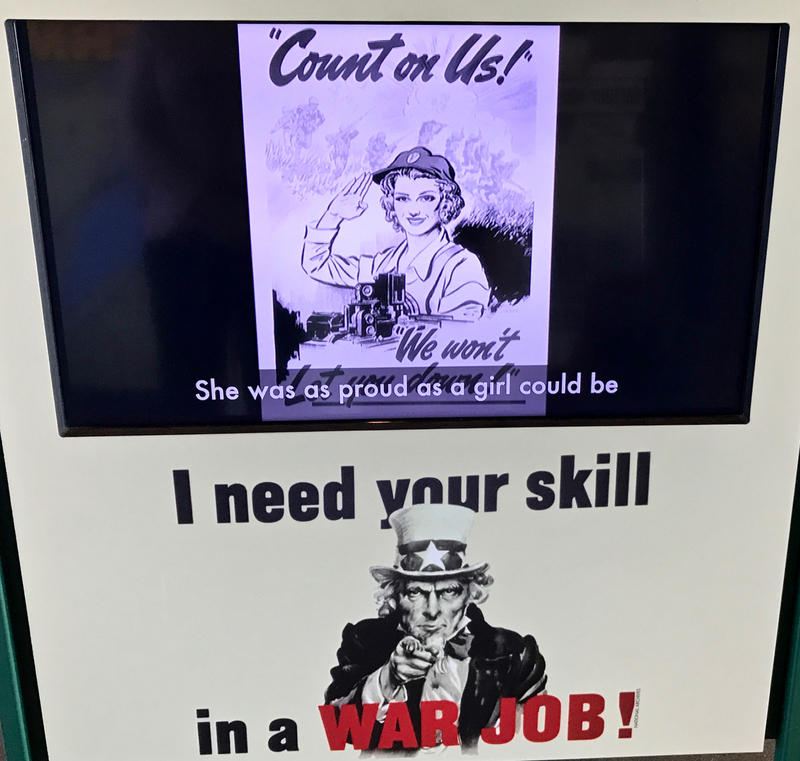 Videos touted the the work these “girls” could do. With the influx of workers, in 1943 Richmond was (as a sign stated) “A Swinging City,” with pool halls, dance halls, bowling alleys and a ballroom that held more than 250 who could dance the night away. 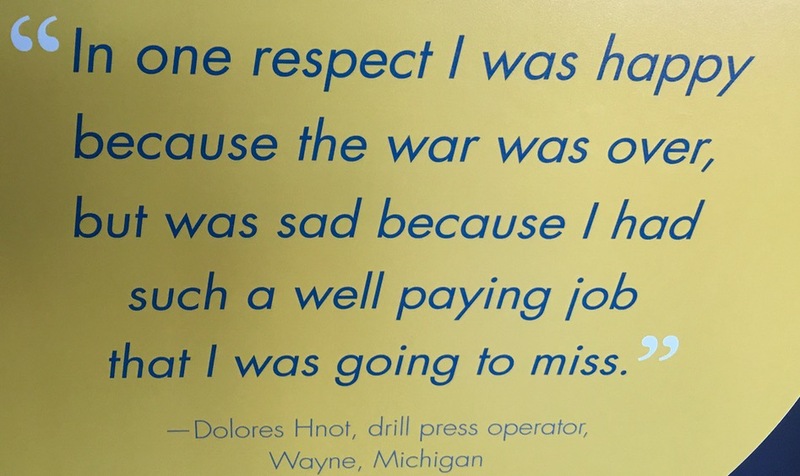 However, “many venues remained segregated during the war” … including the local USO Club (the KKK had been active here through the 1920s). 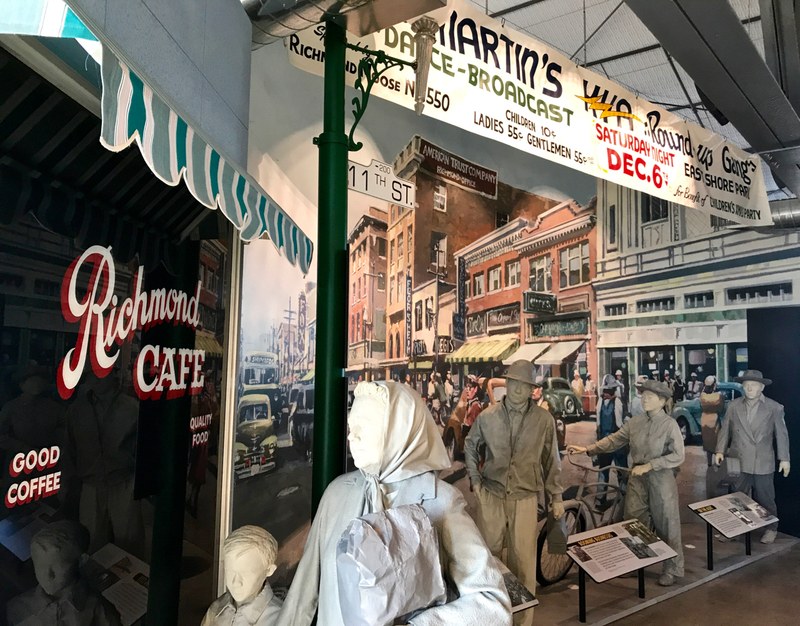 … to showcase the facets of daily life in 1940s Richmond. 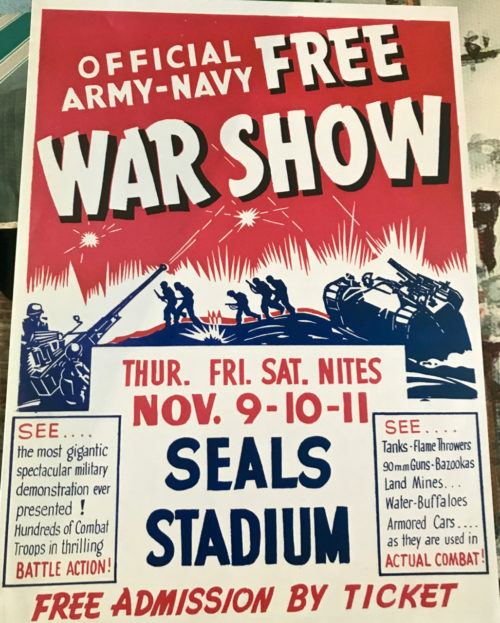 Nothing says a “fun night out on the town” more than attending an event featuring land mines, bazookas and flame throwers. 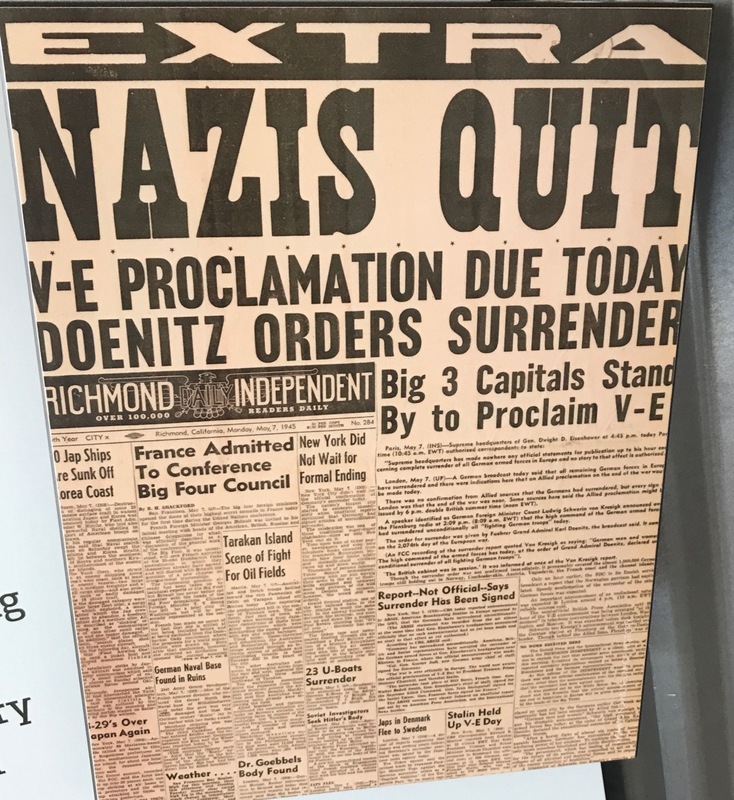 I’m guessing many of the spectators got tanked. 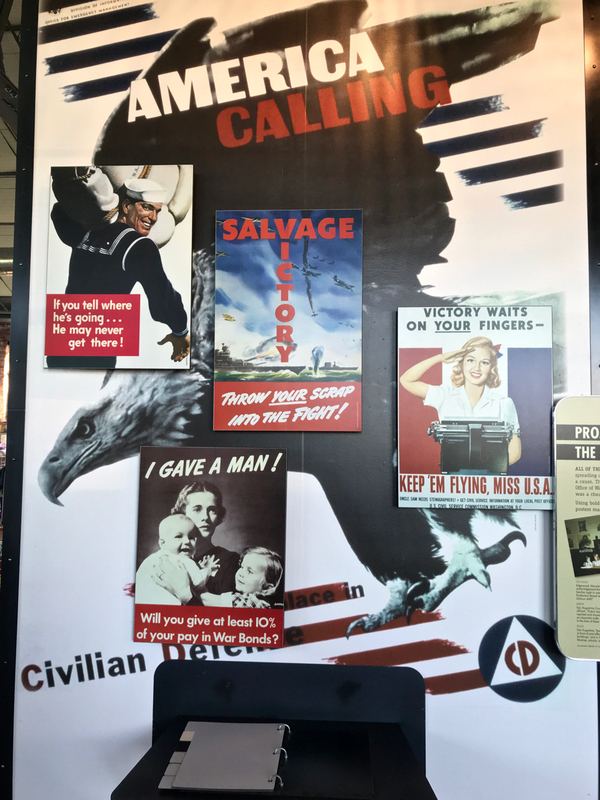 In an adjoining room, there were more historical posters. 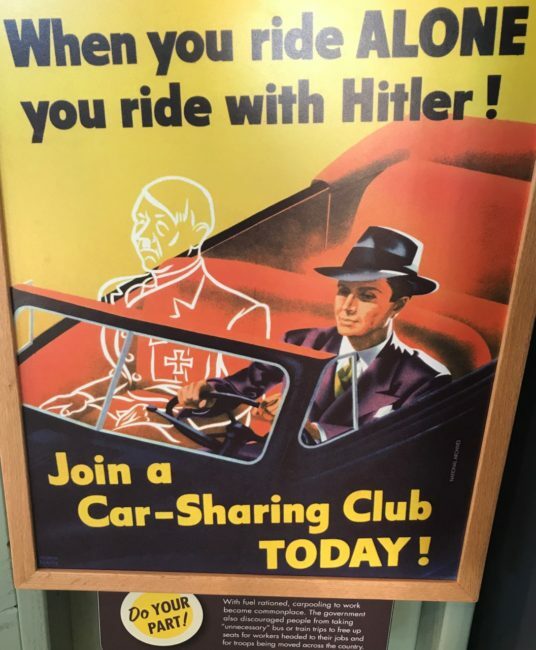 Oh, and if you didn’t ride-share, it was tantamount to riding with this evil guy. 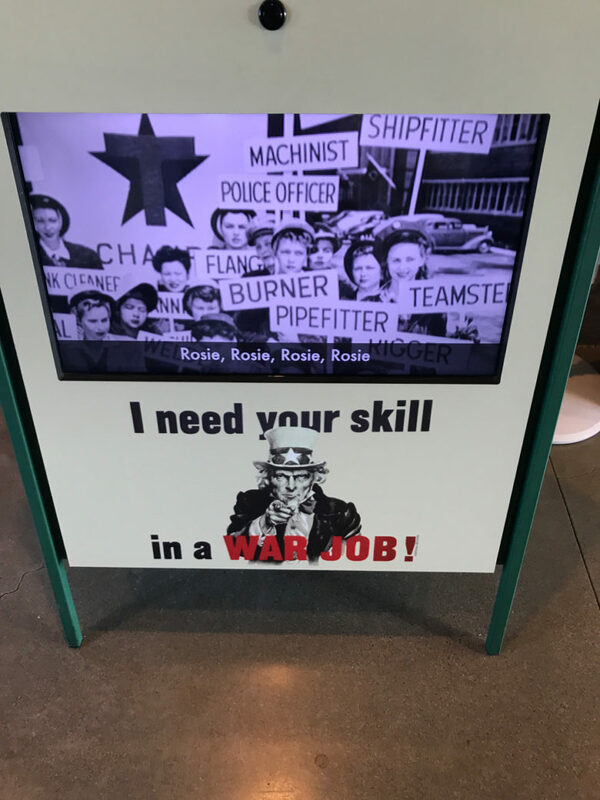 Mobility in seeking other employment was not encouraged. 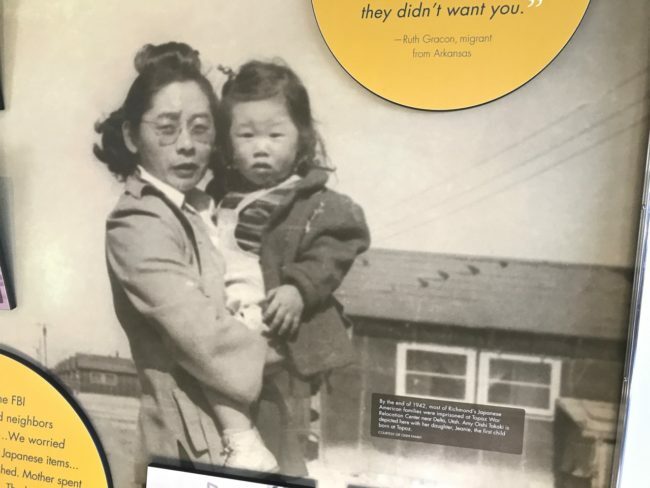 Racism during this period is definitely not overlooked at this museum. 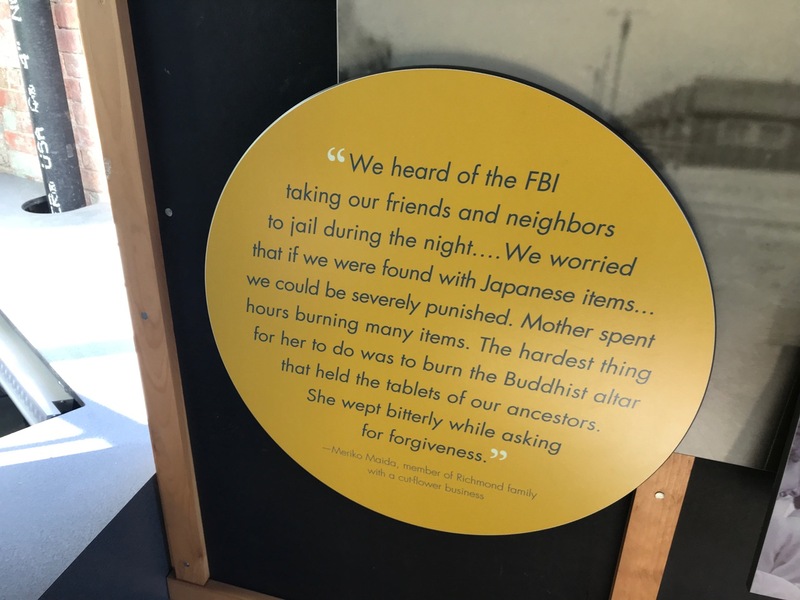 …you had to do some unthinkable things to survive (below). Not too far from the museum is the SS Red Oak Victory, the last surviving ship built in the Kaiser Richmond Shipyards. It’s closed on Fridays … the day we visited (picture is from website). The ship remained active through the Korea and Vietnam wars. 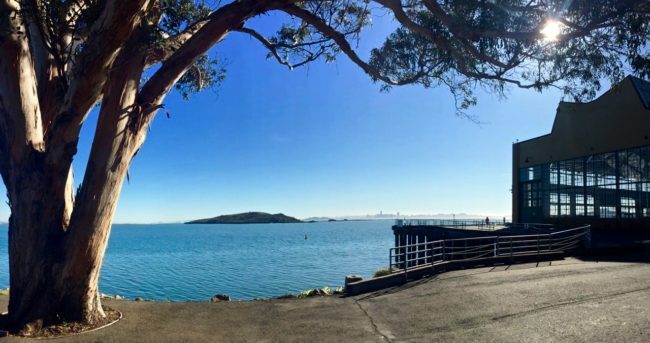 Our quick Rosie the Riveter tour was over, and we had learned a great deal in a short amount of time at this little gem of a museum complete with a picturesque waterfront locale (there’s a restaurant next door where you can grab a bite). I’d highly recommend a visit when in the vicinity. As we were about to exit the building, I saw a Rosie posing for a photo who looked quite familiar. 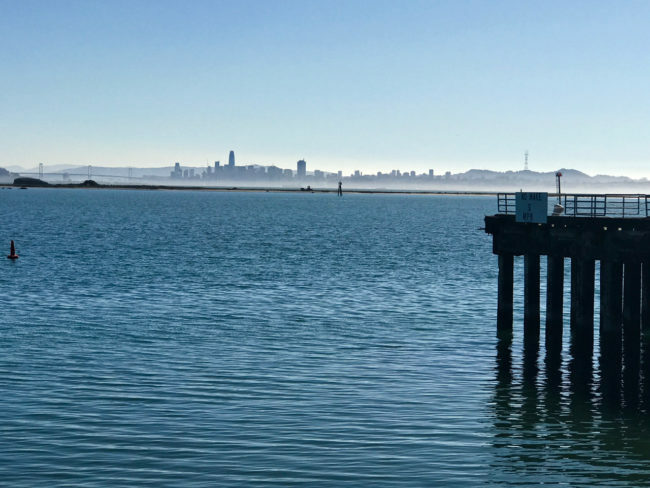 I said, “This is great, now I don’t have to call a plumber anymore … you can do it!” Fortunately, Tracy didn’t make me walk all the way to Bodega Bay. 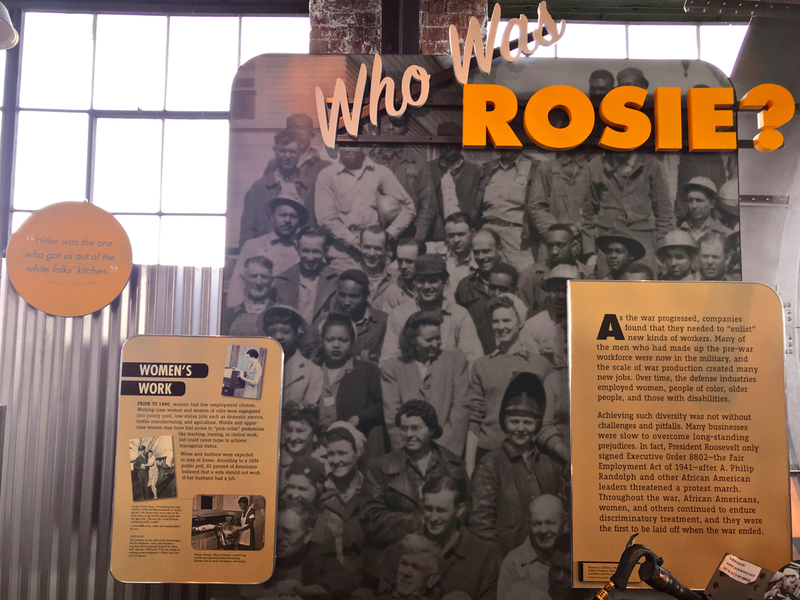 I’m glad she has a “Rosie” disposition.